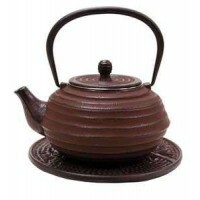 Tea pots are used in many rituals and tea ceremonies. This one has a lovely dragon design and holds 10 oz. Pronounced “Yee-Shing”, this is a city and region in southern China renowned for its beautiful clay. The clay has a distinct characteristic of retaining the flavor of the tea. The more you use it…the richer the flavor of your tea. 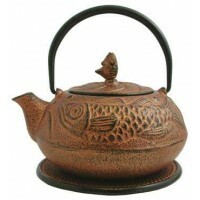 Dragons adorn every part of this lovely red clay tea pot from the handle, to the spout, to the sides and lid. Truly stunning! Tea pot holds 10 oz of liquid. Item Number: OS-10062 | Approximate Size (Inches): 12.00 wide x 12.00 deep x 12.00 high | Approximate Shipping Weight: 3.00 lbs.